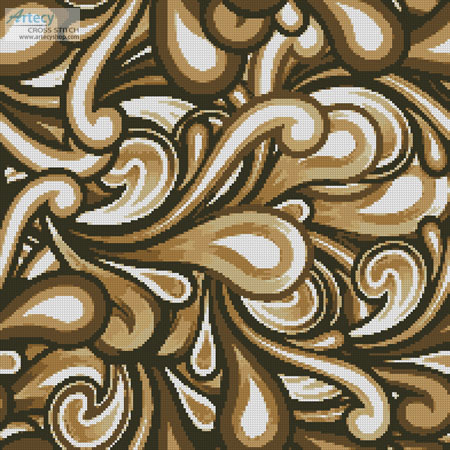 Brown Swirl Cushion Cross Stitch Pattern to print online. This counted cross stitch pattern was created from an image copyright of Joeiera - Fotolia. It would look good on a cushion or wall hanging. We also offer a Purple version of this pattern which you can find here. We also offer a Blue version of this pattern which you can find here. We also offer a Pink version of this pattern which you can find here.